who is the voice of your employer brand? 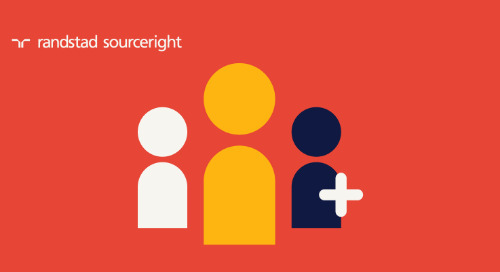 Home » Randstad Sourceright Insights » who is the voice of your employer brand? 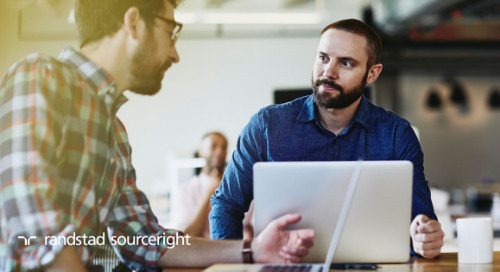 Among the many changes social media has wrought in its relatively short existence sits an interesting phenomenon, one often overlooked by organizations wrangling with the risk management and governance implications of approving consumer and candidate social channels. It is this: hardly anyone will believe what you tell them. You can craft beautiful content, time its release with precision and even allocate budget to promote it to an audience that’s a strong match for your message. You may gather armfuls of likes, but credibility will still be in short supply. In part that’s because we are becoming increasingly ad weary and cynical when it comes to marketing claims and counter-claims. We are skeptics — not impervious to the craft of the marketer but better armored certainly. We perhaps better understand our roles and our rights as consumers or are still tending the scars of the 2008 global crash and less willing to trust. I suspect, however, that it’s mostly due to the fact that we have so many other sources of information that we have no need or desire to rely on the word of the producer/salesman. We live in a world where even the views of unverified strangers — via Amazon, Glassdoor, etc. — carry more weight in our decision-making than the retailers themselves. And we’re talking about some pretty significant purchases like honeymoons and careers. We might trust the provider to show us what it looks like and describe its technical specs but not whether it’s right for me. I’ll rely on the combined experiences of people I’ve never met before, thank you very much. In fact, at the very top of this pyramid of trust sit our friends and our family — exactly where they should be and where they probably have always been. But only a few places below are the broader set of “friends” that constitute our Facebook connections, our LinkedIn network and other social relationships we’ve developed. Their activities are interesting. Their opinions carry weight. We can experience things vicariously through them and cherry-pick the ones that feel right for us. This is why the voice of your employer brand has to be the voice of your current workforce. Acme Plc espousing what a fascinating, valuable and genuinely different place to work it is sounds like so much empty rhetoric and marketing-ese. But having Jeff from Acme (or Lydia or Ashmila) relating his experience on LinkedIn or on your website carries resonance. It has mass and, with that, the prospect of attracting candidates to engage with your brand. At the heart of this is our desire to buy from someone like us. Notwithstanding our uniqueness, we find it easier to buy from and believe in those who seem familiar (or, more truthfully, the version of ourselves we aspire to). Maybe they look like us, share an interest, support the same team or took the same qualification. Whatever it is, we share with people an affinity that’s virtually impossible for a brand to replicate. So when they tell us what it feels like to build a career at Acme Plc, we listen and are more likely to believe and to apply. There’s a feeling of truth and honesty attached to the experience of an individual that seems inherently less cultivated than the organization they represent. In truth, no one has ever liked to hear how great something is from the thing itself. Film, concert, music, art, city, hotel, toy and wedding venue reviews have never been so broad or so vital, treading the line between telling us what to think and helping us make the lifestyle choices that suit us. To my mind, it’s a simple one. Businesses should continue to focus their energies on making their workplaces as interesting, purposeful, enjoyable and distinctive (for the right people) as they can. You’re amazing at that, so keep going. The speed of change has never been so great, and many of us employees have never had it so good. Just don’t be the people shouting about it. Let the people who live your ideas every day or those who have done so in the past tell it. In my experience, they’ll be proud to do so and welcome the opportunity. It will also help build the consensus and consistency that candidates are searching for in order to be confident moving forward. Remember that it’s not only the quality of the review but also the number of advocates that are important. Maintaining a consistent, strong score over 100 or 1,000 reviews is much harder than getting it right once. Plus, there’s a much better chance people will believe them. As any movie director will tell you, the most important thing is that your audience leaves the theatre happy, not who takes credit for persuading them to buy the ticket.